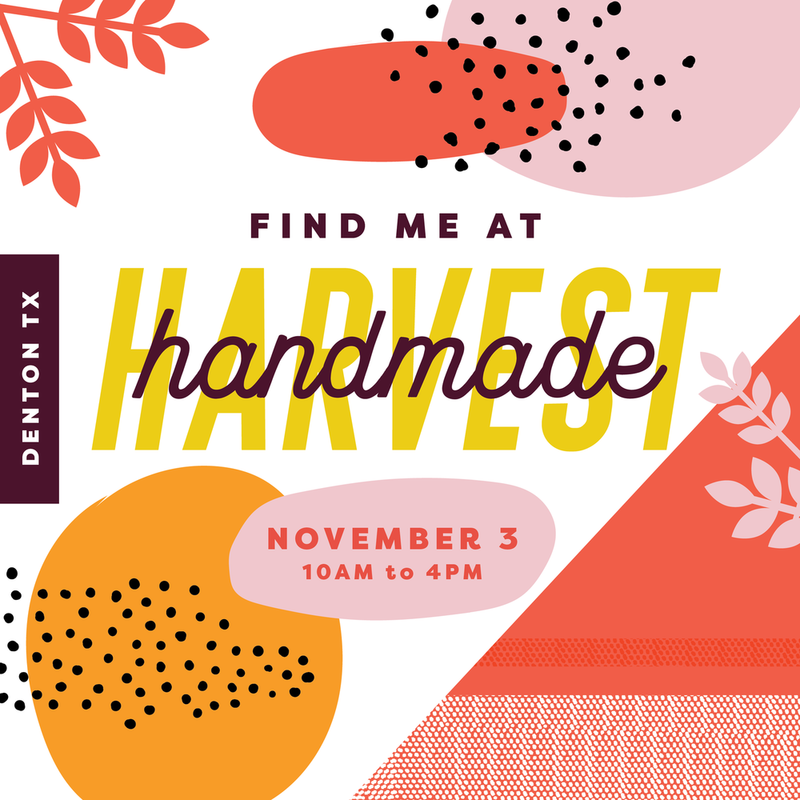 It’s almost that time again - the local fall handmade market put together by the lovely folks at The DIME Store! Come by and check out all of the vendors, get a jump on holiday shopping, and support your local makers with quality handmade goods!! New venue this year at the Denton Convention Center at the Embassy Suites hotel. Website will be updated after the market with all remaining new work. Here's the deal. I'm not a writer! Love, love, love to read (see library as evidence below) and appreciate those that do write creatively, but it's just not my thing. I tried the whole diary business when I was young. Tried journaling and stream of consciousness writing for various reasons in college and as a young adult. About the only time I was marginally successful with it was during a 5 month backpacking trip I took after college, where I took one book to read, Ulysses, (and actually read it), and wrote a bit in my sketchbook about the experiences along the way. It's always been a bit of a struggle (OK, actually a tremendous struggle) writing about my work as well. In art school, I was of the belief that as a visual artist, if you had to EXPLAIN your piece, then the piece probably wasn't successful. Visual art should be enjoyed visually, right?! What really irritated me back then was if the explanation was a cop out for putting actual effort into the piece. I saw it too many times where bad art (in my opinion) was justified with a lengthy explanation. The critiques of these pieces were simply painful. While there is certainly room for a deeper understanding by hearing the inspiration and motivation of the artist behind the piece, there is a line where the justification becomes more interesting than the work itself. I'm going to try to loosen up a little from here. Maybe no one really cares to read these updates (and that's totally cool) but if this provides an additional window into the creative thought process from my perspective, or even just the process of making itself, then I think this could be a place to do that. Maybe I'll actually figure out how to work this section of the website in order to make it more visually compelling as well (like the fact that I FINALLY figured out how to add a freaking picture to the post!!!!!) If you're not already following me on Instagram, that's the place I'm most active with new work and actual updates that are timely! You can find me @kkbmetalstudio there. I feel like it's worth adding the disclaimer/reminder that the studio is a very part-time endeavor for me as I do work full-time and have two children, and a house still needing lots of love... While I would like to do quick turn-arounds and accept tons of custom orders, it just isn't realistic. Thanks for being here, it's a pleasure to be able to share my work and I'm truly grateful for the support! The second anniversary of KKB METAL STUDIO is coming up, so stay tuned for details around that as well! As I've just uploaded the official logo for KKB Metal Studio, I wanted to share a little of the story behind not only the use of my initials for the business name, but also the incorporation of the heart image into the logo. During a doodle session, I discovered that when my initials were abstracted, they came together to form a heart. Heart imagery has frequently been a subject matter that I've explored in my art, and given my prior health issues, it resonated deeply. You see, I was born with a heart birth defect. It went undiagnosed until I was four months old. Once confirmed, I was able to have corrective surgery, and I've been very fortunate to not have ongoing heart issues since. This did, however, mean my children would also have an increased risk for heart defects. Fortunately, I have two amazing and healthy children, but our middle child passed away shortly after birth due to multiple birth defects, including those of the heart. The way I see it, I'm pretty darn lucky to be alive, especially given the fact that medical imagery didn't offer very many options back in the mid-70's. So after many months and iterations of the various combinations of initials, I landed on a design that I was happy with and it was time to move forward with creating the logo. I'm incredibly grateful to the team at The Matchbox Studio in Dallas for taking my very rough sketch and transforming it into the logo you see here, as well as helping pull together a comprehensive brand vision that I'm very excited to share soon. Thank you so much for stopping by! I'm thrilled to have published the site this week and look forward to creating metal for you soon!! Currently, the site features a gallery of images showing various examples of the work I've made. Some of these pieces will be listed once the shop features go live, while others are samples from my personal collection. Primarily the inventory listed will be available to ship within 5 days. Select items will offer sizing options, which will be made-to-order. Please understand that this could take a few weeks (depending on workload) and I will keep in touch with you throughout the process to ensure you are aware of the timeframe. Each piece is handcrafted in my studio and will have subtle variations. Stay tuned for further updates regarding the timing of the shop going live. Please feel free to like my page on Facebook, as I will post there as well.